July 5, 2011, Washington, DC: Jack's Boathouse is one of my favorite spots in Washington. It's tucked under the Key Bridge in Georgetown and its dock on the river is the perfect place to launch a boat or grill a burger. Jack's is also the place that my lovely yellow kayak calls home. If I'm lucky, I drag my boat into the water for a paddle a couple times a week. But none of those times has been as much fun as last night. 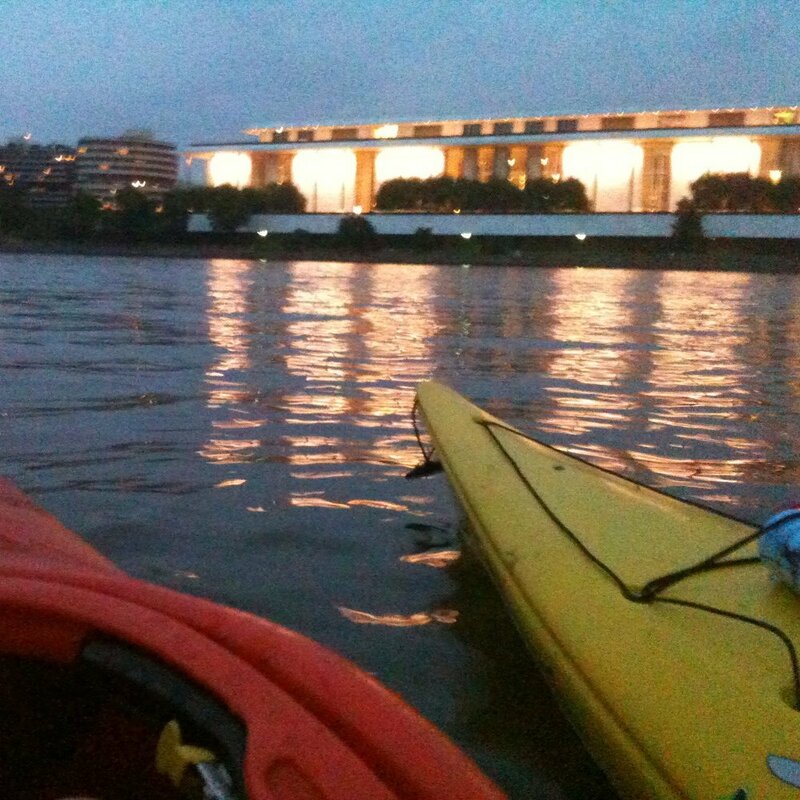 Nothing beats paddling out for 4th of July on the Potomac, sitting in the woods on Roosevelt Island across from the Kennedy Center awaiting the fireworks, and floating on the river for the grand display. Nothing beats paddling back upriver by the light of a headlamp, our course set for the colorful paper lanterns lining Jack's dock on a hot summer night. Nothing beats a city you can explore from the water, a city in which you can feel so far away in the heart of it all.